The last few weeks have been really exciting for enthusiast PC builders. Intel and AMD launched the ultimate HEDT platforms and Radeon Technologies Group unleashed their RX Vega graphics cards. 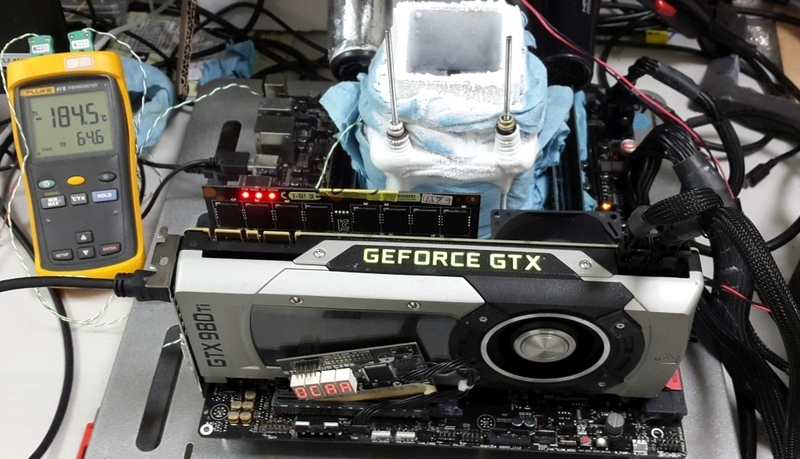 While these products were being launched, world renowned overclockers were putting the massive 16 core CPUs to the test and the results they managed to obtain are truly impressive. Legendary overclockers such as Splave, HiCookie, Sofos1990 and TheOverclocker were pushing the latest 16 core beasts through their paces. The chips include Intel’s Core i9-7960X and AMD’s Ryzen Threadripper 1950X. Both of these high-performance and massively multi-threaded CPUs bring in next levels of mega-tasking speeds to power users and there cannot be any way better to test them then to overclock them to the max with loads of LN2. We are talking about speeds that cannot be reached with conventional air and liquid cooling setups. The maximum frequencies hit by each processor during the OC session was 5.60 GHz (Intel Core i9-7960X) and 5.50 GHz (AMD Ryzen Threadripper 1950X). 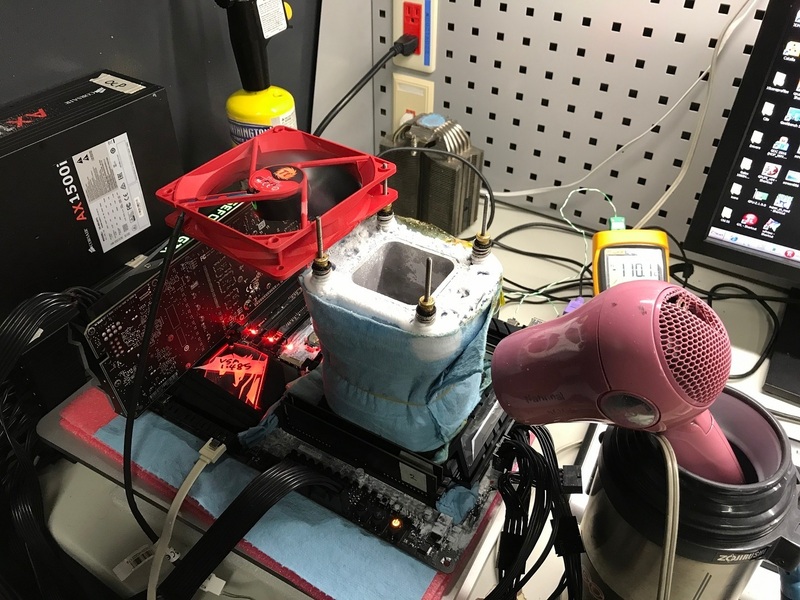 Motherboards used during the testing were ASRock’s X299 OC Formula and Gigabyte X299 SOC Champion for the Intel Core i9-7960X and ASUS ROG Zenith Extreme for the AMD Ryzen Threadripper 1950X. These motherboards are some of the very best products that you can buy under the X299 and X399 platform. 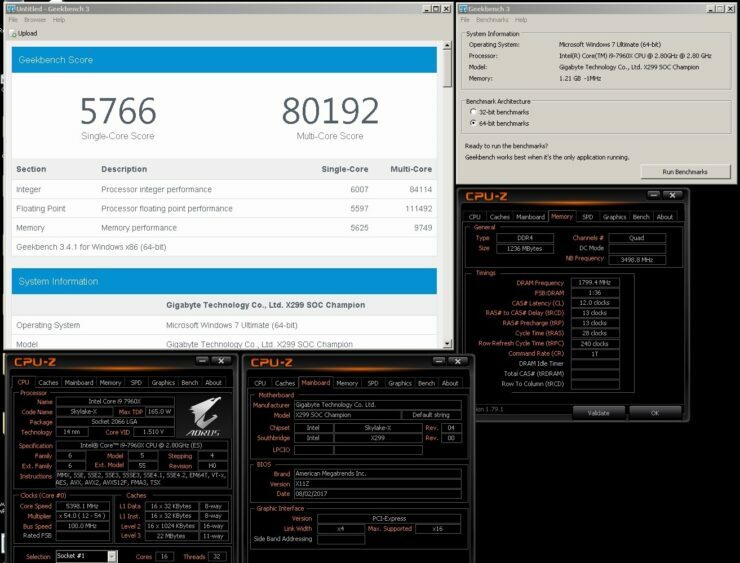 Coming to the benchmarks, we are looking at some really impressive results. The chips broke a total of 2 world records and achieved 7 global first place positions. The chip to break world records was Intel’s Core i9-7960X which leads in 8 out of the total 9 positions for the testing. 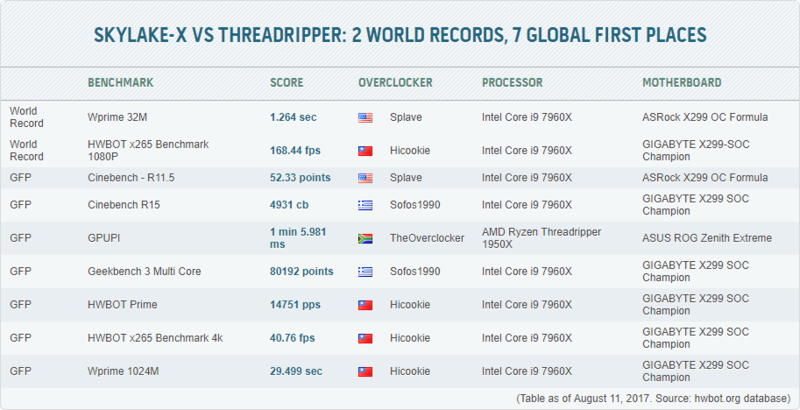 The Threadripper 1950X was able to achieve 1 global first position but has showed off an impressive feat all by itself. 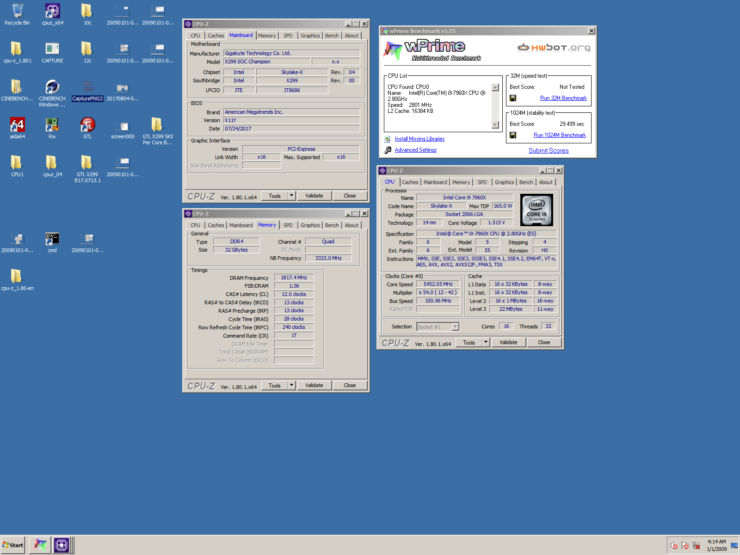 The first world record is in WPrime 32M which was achieved by Splave on an Intel Core i9-7960X with a score of 1 sec, 264 ms. The second world record is in the x265 benchmark, achieved by HiCookie. The score is 168.44 FPS which is an incredible amount. 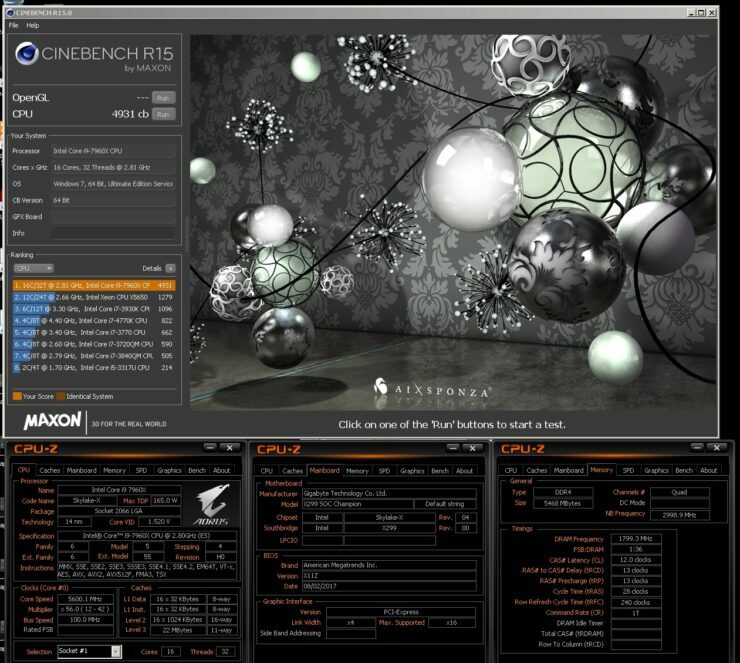 The GFP feats include 52.33 points in Cine Bench R11.5 by Splave, 4931 points in Cinebench R15 by Sofos1990 (5.60 GHz Overclock with Intel Core i9-7960X), 1 min, 5.981 ms in GPUPI by TheOverclocker (The only Ryzen Threadripper 1950X GFP with a overclock of 5.446 GHz), 80192 points in Geekbench 3 Multi Core test by Sofos1990, 14751 points in HWBOT Prime by HiCookie, 40.76 points in HWBOT X265 Benchmark at 4K by Hi Cookie and finally, 29.499 sec elapsed time in Wprime 1024m benchmark by HiCookie. All results are compiled by HWBOT over here. Of course, such overclocks don’t come from simple testing. A lot of effort is required to configure the best clocks and tune the best voltages for optimal operation. Gigabyte and ASUS were quick to acknowledge these record breaking overclocks and congratulated the overclockers for the feat they have achieved. Overclocking at the highest levels requires sub-zero cooling with exotic substances. Free pouring liquid nitrogen as smoke billows may not be practical for everyday desktops, but it helps us learn the limitations of the platform and how to get the most out of it. The Zenith Extreme is equipped with several enhancements for life on the ragged edge, including special operating modes for LN2 and multimeter probing points for voltage monitoring. We’ve already used the board to push the Ryzen Threadripper 1950X to 5.37GHz across all 16 cores and 32 threads. 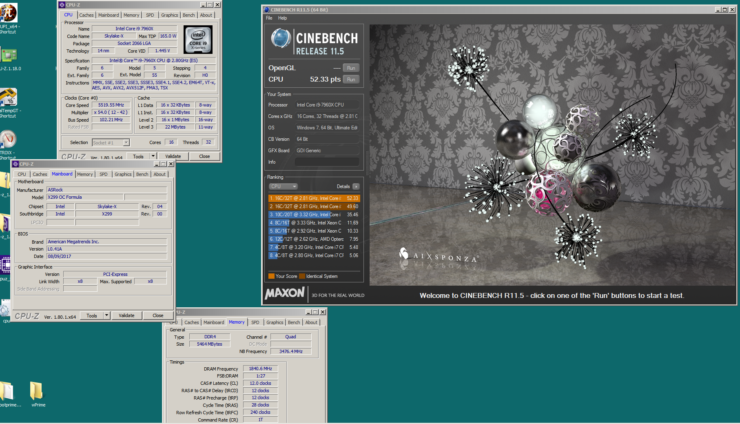 That config was stable enough to generate an impressive Cinebench R15 score of 4514. As of August 10, the Zenith Extreme has claimed the top spot on the Threadripper leaderboards with Hardware First Place (HFP) scores across seven benchmarks and a Global First Place (GFP) in GPUPI for CPU -1B. No doubt these are very interesting results and records by professionals. While they don’t reflect real world usage, they still show us what kind of performance these chips pack when they are run at their max threshold. We will keep on covering more records as they come by so stay tuned.